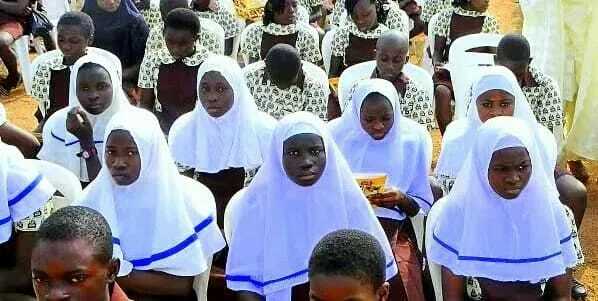 An Osun State High Court sitting in Osogbo on Tuesday struck out an application for the stay of execution of the June 3 judgment which allowed Muslim students freedom to wear hijab approved by the state government to public schools. The State Chapter of Christian Association of Nigeria (CAN) had on June 22 filed an application at the State high court asking for a stay of execution of the judgment. However, at the court sitting on Tuesday Justice Jide Falola struck out the case in a brief ruling based on the fact that the state Christian community has approached the Court of Appeal sitting in Akure, Ondo State, capital to sit on the matter. Tens of adherents of the two religions and their lawyers trooped to the court premises at Oke-Fia area of the state for the resumed hearing of the stay of execution application filed by CAN but met an empty courtroom.